The Wryst Elements Swiss sport watch is designed to withstand the most hostile outdoors, tough environments and unintentional shocks. With a highly complicated one-piece case, the stylish watches are protected with scratch-resistant black DLC coating for an unforeseen durability. This feature has now become a signature asset for Wryst which represent unprecedented value for money. This year’s collections are all fitted with screw-down crowns, an important factor in securing 100 meters of water resistance for these extreme sport watches. 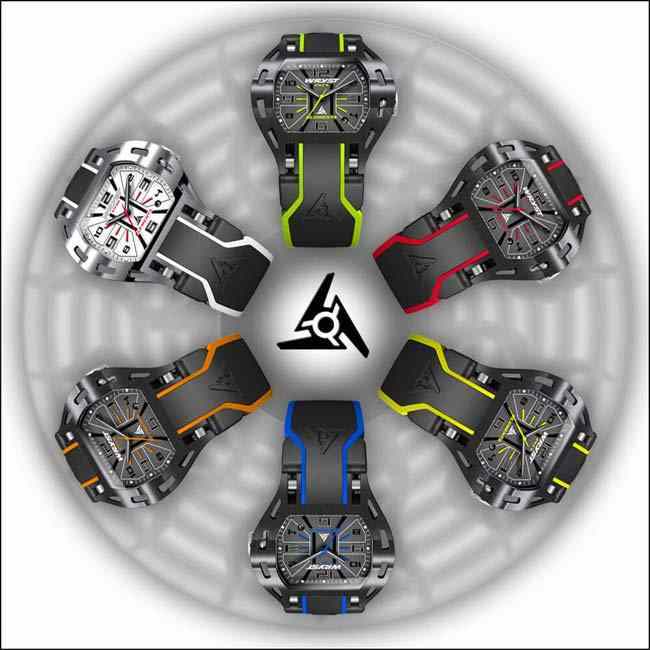 Like all other Wryst watches produced in the past, the latest ELEMENTS Swiss sport watch collection is produced in exclusive limited edition of 75 pieces only! Secure today the serial number you wish to purchase by contacting our devoted sales department HERE. 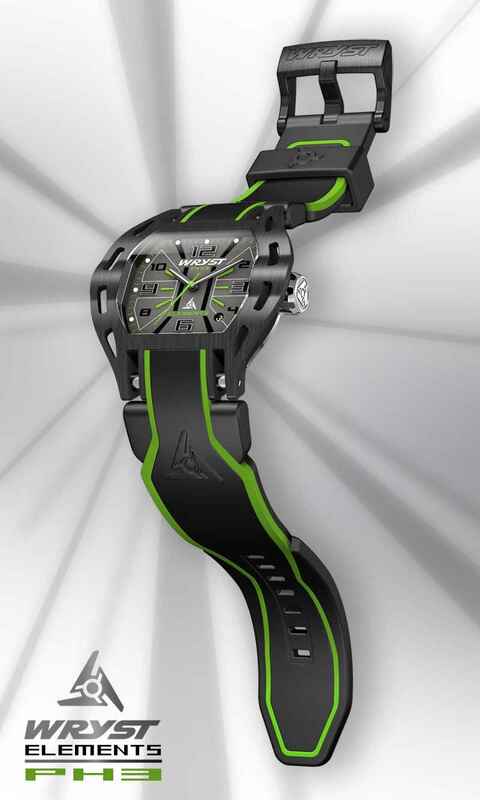 The Most car racing-inspired Swiss sport watch to date! 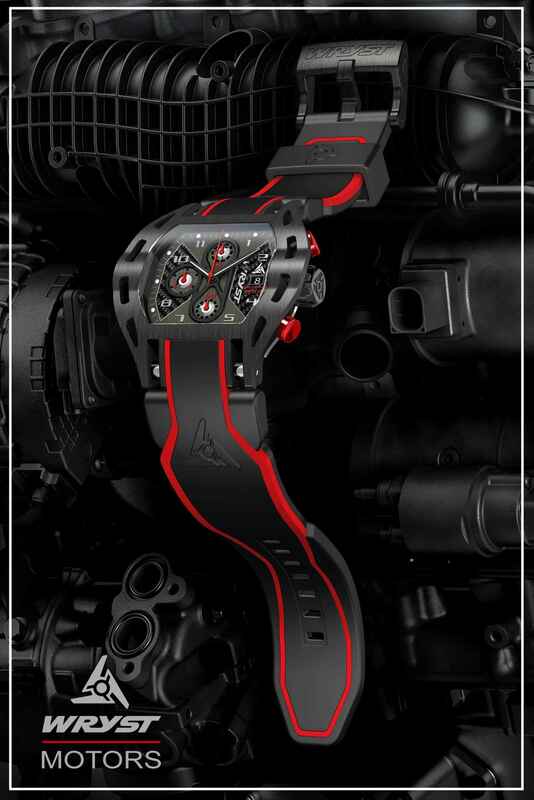 Wryst Motors Swiss sport watches are dedicated to Motorsport, racing sports and everything that has an engine and drives fast! Nothing new here, but for the first time the brand offers Carbon Fiber material making the Wryst Motors MS3 more exclusive than ever! Only 99 pieces will only be produced. Also available early months of 2016 is the exceptional Wryst Isle of Man TT Special Edition chronograph. The motorsport-inspired Swiss brand official timing partner of the TT races 2015 & 2016 has developed this spectacular and exclusive timepiece dedicated to the most epic motorbike road race championship in existence. With tough black Diamond-Like Carbon coating and a totally exclusive design, the watch has an ultra-modern style like no other and comes packed with specifications for a tough and memorable timekeeper. The Wryst Isle of Man TT is discontinued since July 2016. Wryst only produced 132 serial numbers. !! 2016 SERIE SOLD OUT !! 2018 Model in stock ! !